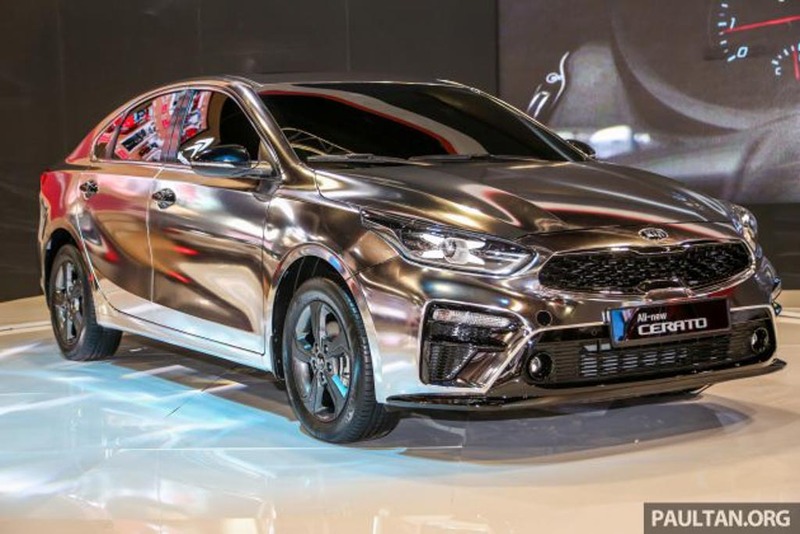 At the ongoing 2018 KLIMS (Kuala Lumpur International Motor Show), Kia has showcased the new Cerato sedan that debuted at back in January at Detroit. 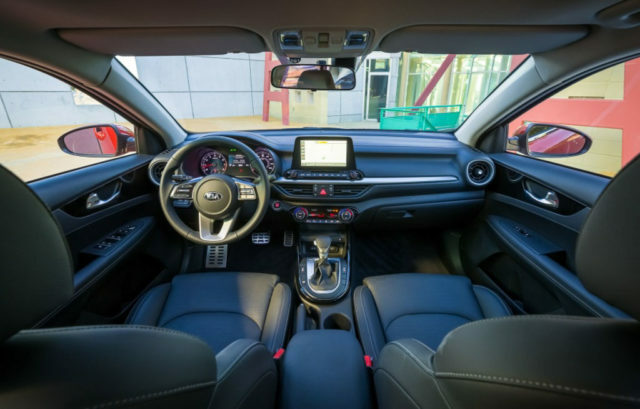 The Cerato, also known as Forte in some overseas markets, has been vastly improved in its new avatar and comes with many changes inside and out. The 2019 Kia Cerato gets a heavily revised front fascia with new tiger nose grille, slimmer headlamp and integrated LED Daytime Running Lights. The turn indicators are unusually positioned in the lower portion of the bumper and the sedan has more noticeably adapted a fastback design. The fog lamps are positioned in the in the lower air intake and the same trend continues on at the back. The brand new tail lamps on the third generation Cerato adorn beautiful LED graphics and the stubby rear end is complemented by the decked out lower lip spoiler with mono exhaust. 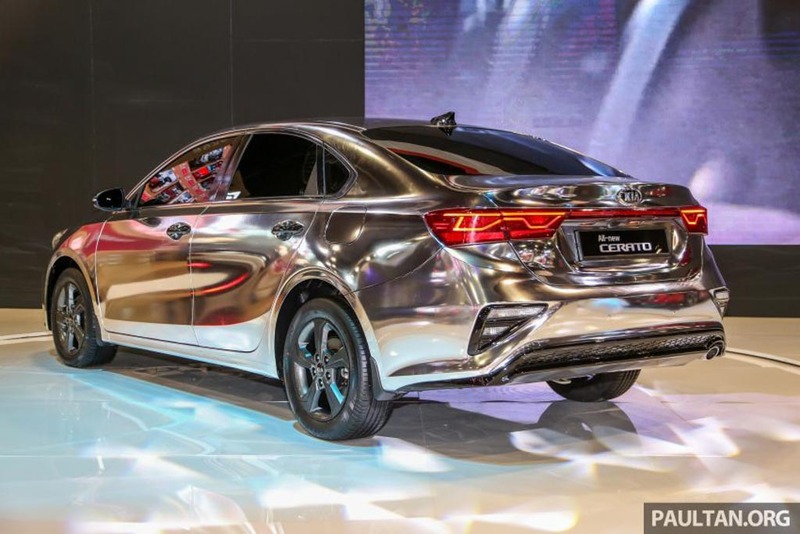 The special chrome finish on display in Malaysia will have lured in plenty of attention and the sedan is shod on 16-inch alloy wheels. Compared to the previous generation Cerato, the new model is 81 mm longer and 18 mm wider along with standing nearly 13 mm taller. The bigger dimensions meant the 2019 Cerato is more spacious than before and the boot capacity is rated at 428 litres. As much as the exterior, the interior has faced several upgrades including an updated infotainment system, newly designed AC vents, updated gear lever, buttons and other switchgear along with revised instrument cluster and steering wheel. In the United States market, the new Cerato is powered by a 2.0-litre naturally-aspirated four-cylinder petrol engine mated to a standard six-speed manual or an optional automatic unit. The Kia Cerato rivals the likes of Hyundai Elantra and Honda Civic in the global markets. Having already been spied in India, the premium sedan could act as a potential contender for domestic market in the near future with underpinnings from its Hyundai cousin. It is important to note that Hyundai has already started the Elantra facelift and it could debut in the early parts of 2019.